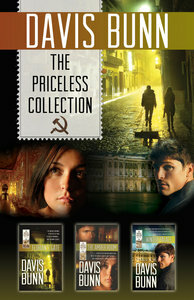 About "Priceless Collection (3-In-1 Volume) (Priceless Collection Series)"
Davis Bunn is an internationally-acclaimed author who has sold more than four million books in fifteen languages. Honoured with three Christy Awards for excellence in historical and suspense fiction, he has written several bestsellers, including The Great Divide, Winner Take All, The Meeting Place, The Book of Hours, Drummer in the Dark, To the Ends of the Earth, and The Quilt. Davis is also the co-author of the Song of Acadia series with Janette Oke. A sought-after lecturer in the art of writing, Davis Bunn has been named Novelist in Residence at Regent's Park College, Oxford University.